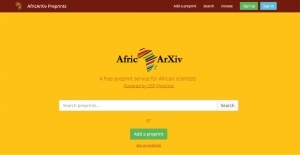 In the summer of 2018, scientists launched the preprint repository AfricArxiv, for African science to be shared, completely free. Crastina interviewed Justin Ahinon, a web developer and one of the founders of the preprint server. This interview is a part of the Crastina theme “SciComm in Africa”. Hi Justin! Please tell us what AfricArxiv is, its purpose and what target group you want to reach with the initiative. 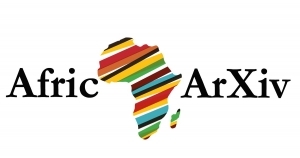 AfricArxiv is a free and open source digital archive for research in Africa. It is part of a set of open access repositories powered by the OSF open source project management repository, which is run by the Center for Open Science. AfricArxiv primarily receives pre-publication manuscripts, i.e. research results, papers, datasets that have not yet been published or peer reviewed. In addition to this, and probably the most interesting aspect of AfricArxiv is that we have chosen from the beginning to accept papers that are published in local African languages. This is intended not only to make visible research produced in Africa in commonly used languages (French, English or Spanish), but also to encourage African researchers and lecturers to produce content in their own languages. 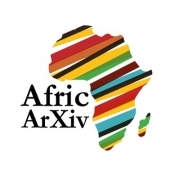 The main goal of AfricArxiv is to make research content produced in Africa more visible. 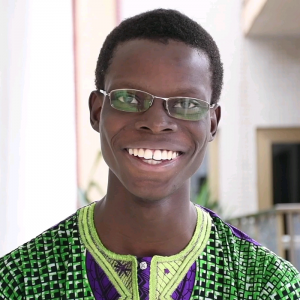 In addition, there are a number of other objectives that we wish to achieve, such as promoting the use of local languages in science in Africa, popularizing the concept of open access publishing on the continent, encouraging and enabling people who produce content that may “not formally qualify as scientific” to publish that. With AfricArxiv, the audience we are targeting is African scientists who produce content, but also non-African scientists who produce content that is in one way or another related to the African continent. On the other hand, we target all those who may need access to this content, whether they are researchers, teachers, students, professionals, or farmers who would like to have access to a study on agricultural yields, for example. How was the idea of AfricArxiv born? The story of AfricArxiv’s birth is quite interesting, since it all started with a tweet (yes, a tweet). So, in April 2018, the first summit on Open Science and Hardware in Africa was held in Kumasi, Ghana. One of the discussion topics was scientific publishing in Africa, and we realized the need to have a pan-African repository that centrally promotes the content produced on the continent. 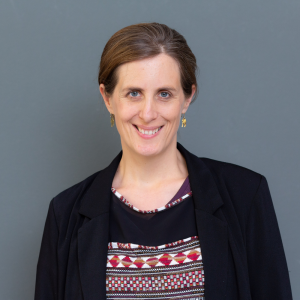 One of the participants therefore launched the question in a tweet, which had many commitments, including Center for Open Science Executive Director Brian Nosek, which is responsible for the Open Science Framework. A few weeks after the summit, we discussed it further with co-founder Jo Havemann (picture) among others, and produced the first documentation. How is it organized today, compared to when it was launched? First of all, the people who work on AfricArxiv do so on a voluntary basis, and in their free time. I think it is important to remember this because this has a major influence on the way work is organized. So, in the beginning in June 2018, we first tried to find the best way for us to communicate since we are almost all living on different continents. We recently started using Slack where it is easier to create a community around various topics. With regard to the management of the various tasks to be performed, GitHub was adopted from the beginning. It is a rather interesting tool to track our evolutions but also to make our documentation available in open source. As far as organizational structure is concerned, we have since remained without titles of the kind of Director, in charge of this or that. We are also fortunate to have a number of people who volunteered to be part of the steering committee and who are helping to move AfricArxiv forward in a meaningful way. If there is one thing that has changed a lot since we started, it is that we have got to know each other better. We now know what types of tasks this person will be able to perform more efficiently, and that is very important. Next July, AfricArxiv has been active for one year. What response has it received since its release? The initiative was enthusiastically received, and several people quickly came forward to be part of it. Given the challenges surrounding scientific publication in Africa, the reactions seem justified. After that, in practical terms, it was a little more different because a commitment involves a lot for potential volunteers. Institutionally, we have received support from research centres and scientific communities, but fewer universities on the continent than on other continents. We have succeeded in reaching more people in English-speaking countries. Next up is reaching out more strategically to the Francophone and Arabic speaking science communities – we have already started translating our new website to French and plan to also have landing pages in traditional African languages. We have started to translate our documentation and website into French and engage the French community in our discussions more regularly. What challenges do you see in the work of managing AfricArxiv and spreading it to scientists of Africa? I am currently seeing many challenges. The first is to increase the number of papers currently published on AfricArxiv. We are currently at 36, and the goal is to reach the 100 papers published before the end of the first year. We also want to build partnerships with more African and non-African organizations working to promote open science and open access. Another thing that is really important to us is to raise awareness among African scientists of the importance of producing and publishing content in local languages. Nutritionist from Sweden, passionate about science communication, sustainability, singing and delicious food.